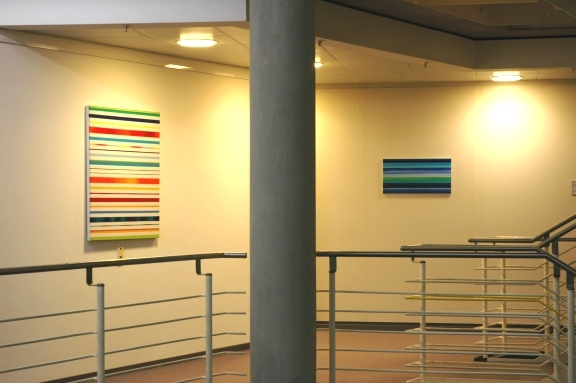 The RWE NUKEM art collection. 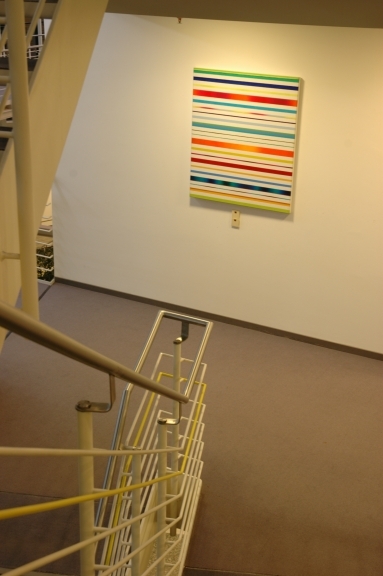 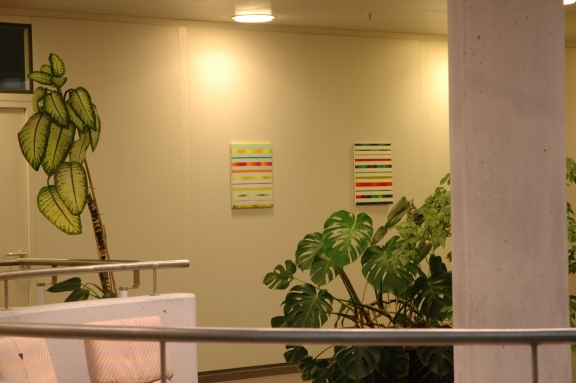 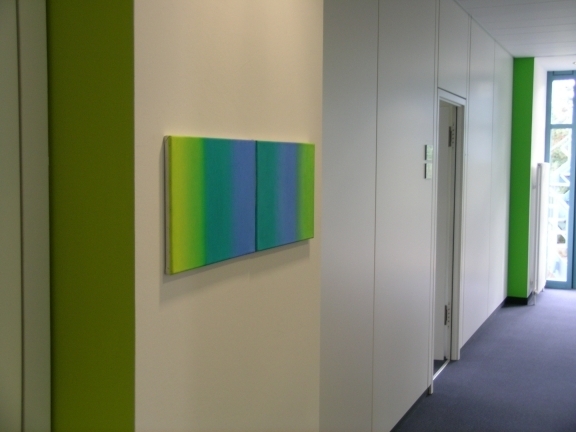 In spring 2004, RWE NUKEM installed it's newly aquired collection of paintings by Fiona Leus, Uschi Lüdemann, Reinhard Roy and Jürgen Raitz von Frentz. 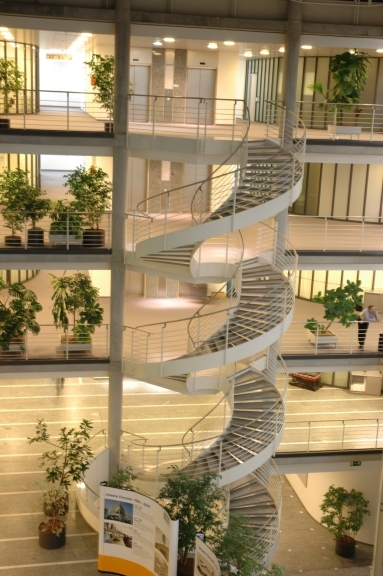 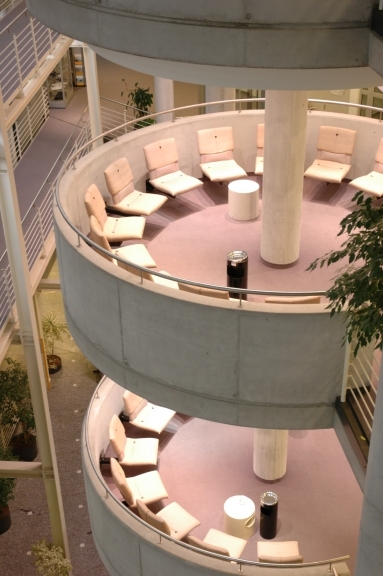 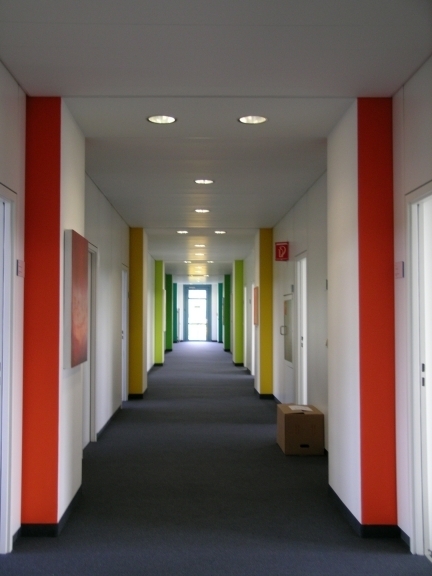 A sophisticated colour code had been developed thoughout the generous hallway architecture of NUCEM's 4 story high German head office building. 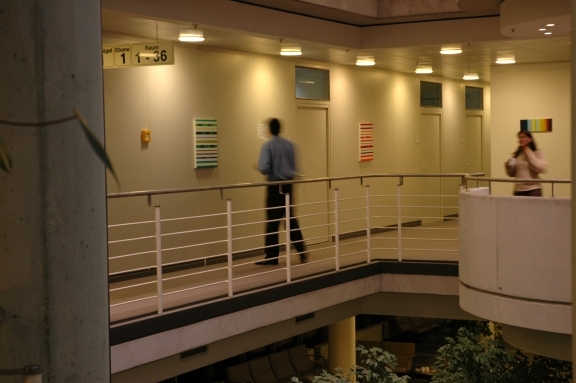 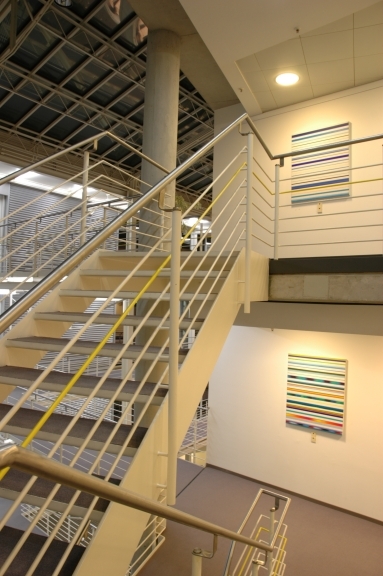 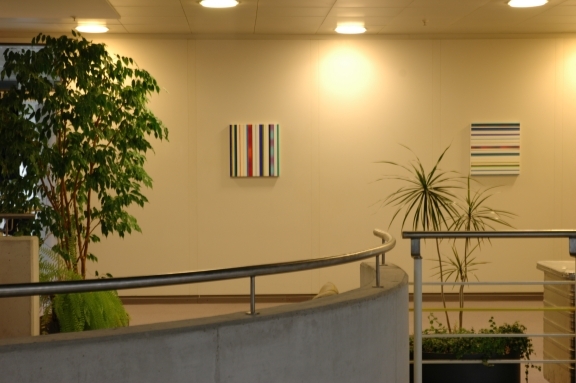 The architecture and artworks create atmosphere, and indivduallity in corridors that connect employees and offices to one another.